There is no such thing as dynasties in jazz, or even in New York music circles. The fortunate truth is that if you can’t deliver, it doesn’t matter who your daddy is. Choosing to perform your father’s music is solely an artistic decision. Asking a famous musician for career advice, I was told “don’t play your daddy’s music”. I disagree; an artist has one responsibility, to tell the truth. And the truth is that Chico was one of the greats, hasn’t quite gotten his due, and alongside my own musical explorations I will always continue to perform the canon of Afro Cuban jazz’s true genius. This led to strain. Leading my own orchestra, Chico’s orchestra, my small ensembles, my solo work, running a performance and education non-profit (the Afro Latin Jazz Alliance), teaching, touring, raising a family, and well, just being a human was ultimately too much. 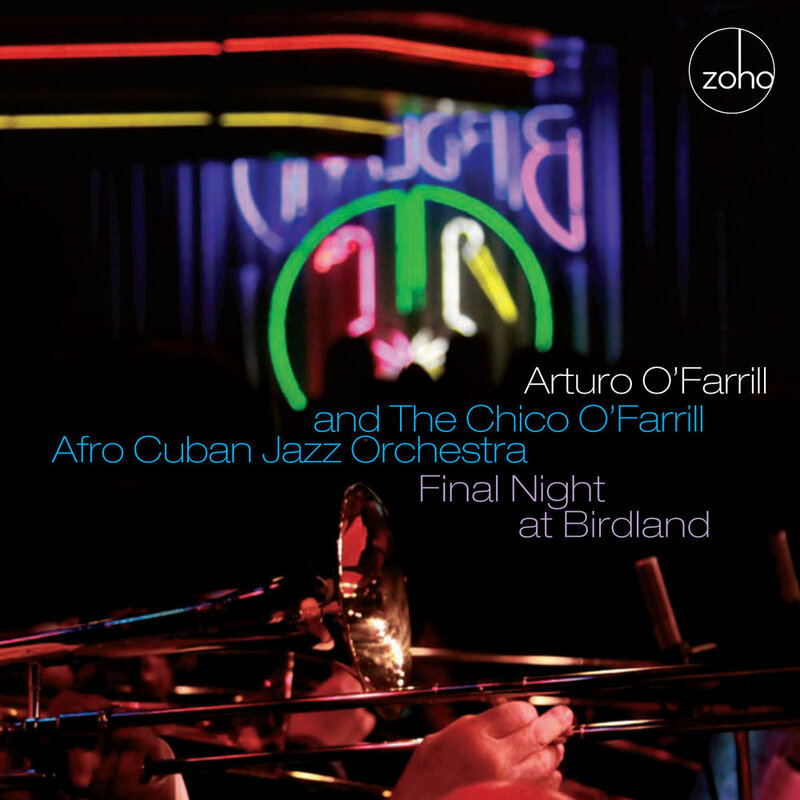 So on a beautiful, early summer night in 2011, after fifteen years in the finest jazz nightclub in New York and ten years after the passing of my father, The Chico O’Farrill Afro Cuban Jazz Orchestra gave its final performance. I remember the first performance well. It was a freezing cold night and the line stretched down the block. My sons were toddlers and my father was in good health. And then time took its toll and many things transpired, my kids became men, my projects took off and my father aged. I watched band members become husbands and fathers, we saw audiences become familiar faces, and Birdland staff become family. And then one day my father joined the ancestors. This does not mean the end of Chico’s music, The Afro Latin Jazz Orchestra continues to perform his works to this day. But the primary motive in Chico’s aesthetic was to keep the art moving forward. And that is what I am all about. He was not a replicator, writing predictably the musical equivalent of wallpaper. He wrote from the heart, to challenge and create. And so it is fitting that my work with the Afro Latin Jazz Orchestra include the master in its repertoire. His music was the foundation for my philosophy. Long live the musical brilliance of my father, el Maestro, Chico O’Farrill.